I could hardly believe it when Maureen told me what she planned for her column in The Phoenix Soul: Brave First Steps. All my life, I've seen her with journals nearby, gel pens at the ready. Shelves full of completed books, teeming with evidence of her life deeply lived. 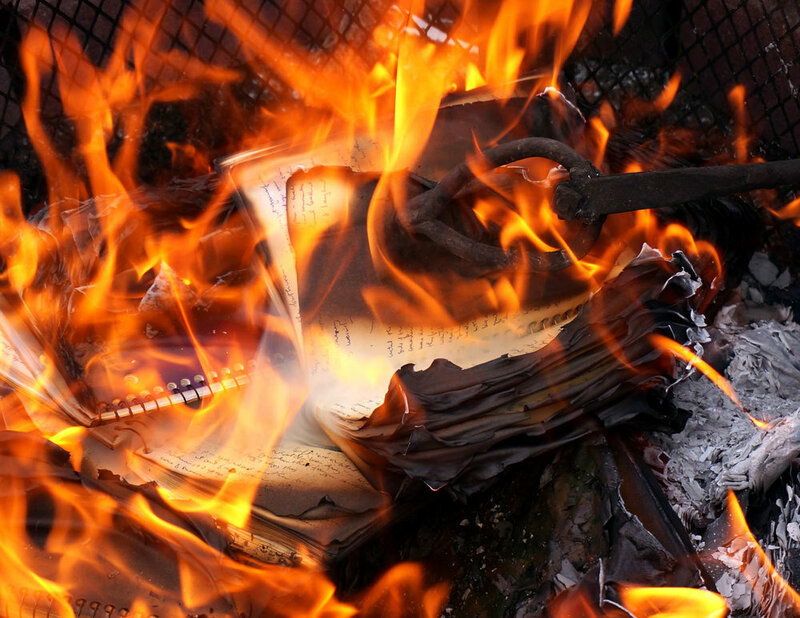 So when she told me she needed to burn them--inspired partly by Syda Howery's intentional destruction of her own journals, mentioned in her Truth Tribe interview--I was stunned. Awed. And when she agreed to let me be witness, to film and photograph the experience for Brave First Steps? Yes yes yes! Nearly 100 journals (a literal wheelbarrow full), offered to the flames. Why? As she finished tending the fire, wheelbarrow now empty, she realized: "Bold journeys require bold first steps." 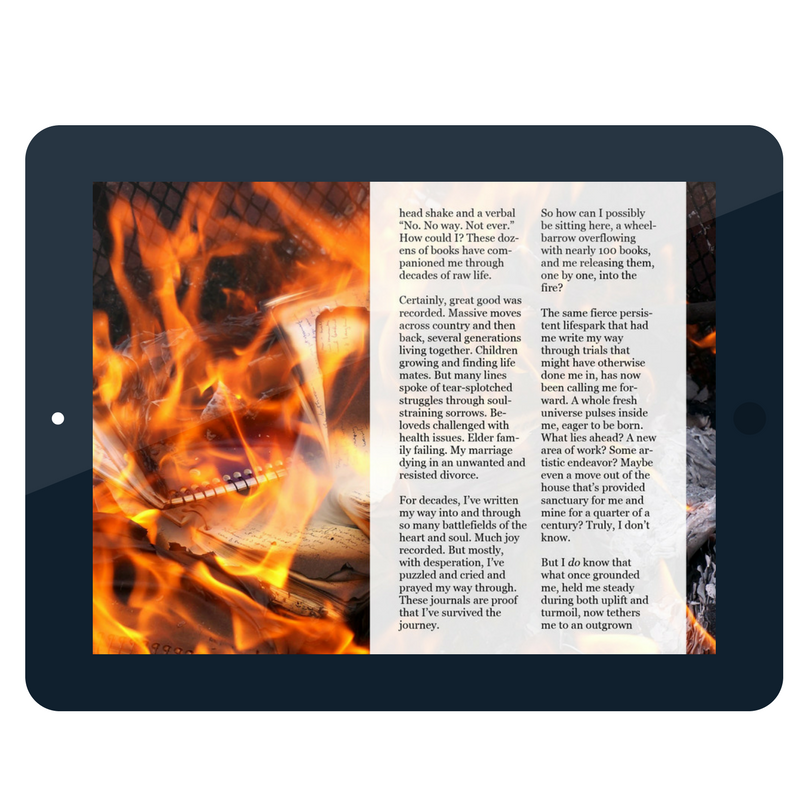 Read Maureen's backstory and experience the journal-burning along with her in TPS: Brave First Steps. Phoenix, what bold journey are you craving? What brave first steps will set you on the right path? Your letting-go might not look as dramatic as Maureen's; yours might be simple, small, quiet. It could be as simple as saying no when you're used to saying yes (or vice versa!). Whatever YOUR brave first step is . . . anticipate that "soaring freedom." You can do this. And you aren't alone.